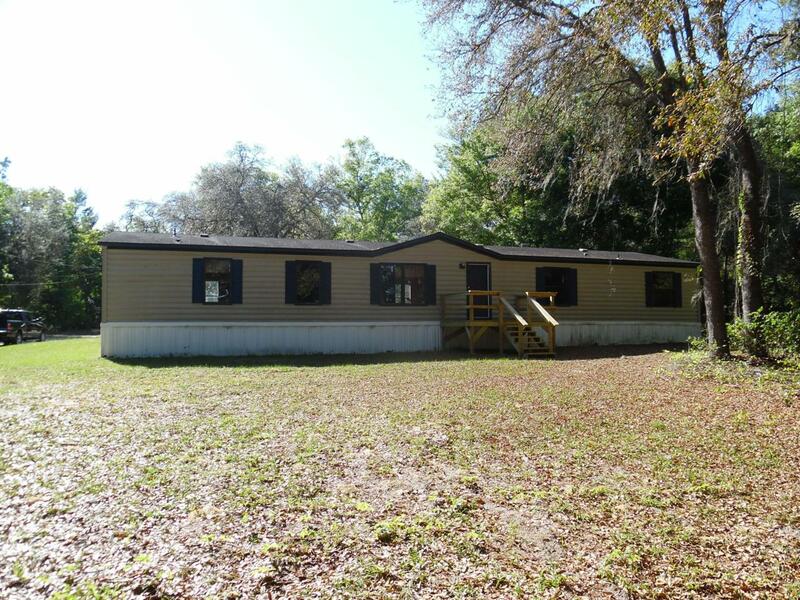 Come take a look at this hard to find 5 acre parcel that has rehabbed 4/2 bath home! This property sits back from hard top road with plenty of privacy! This home has rustic feel and seclusion, however only minutes from town! Home has large open floor plan, with separate living room and family room with fireplace and beautiful mantle. Split floor plan with large master suite with separate sitting area in master. Large master bath includes separate soaking tub, and separate shower. Huge master closet to fit all your needs. Home recently painted on both exterior and interior. Beautiful new laminate wood floors through out! New front entry deck as well! Plenty of room for the critters and a large carport in rear of home for your vehicles. Come Take a Look!